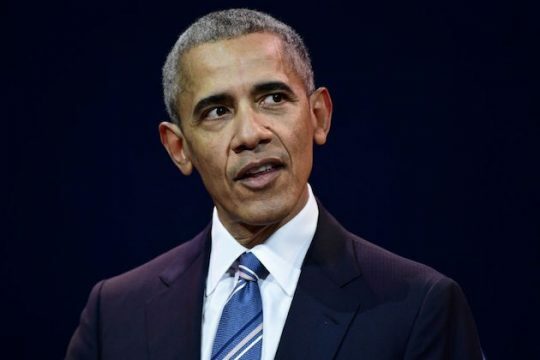 A longtime bundler for President Barack Obama ripped him for what the fundraiser characterized as not doing enough to fundraise for the Democratic Party, saying Obama had "done jack s—t in getting people to donate to the party." Speaking anonymously with The Hill, the bundler, who is described as almost never criticizing Obama, vented about the former president staying too much on the sidelines. "He’s been way too quiet," the bundler said. "There are a lot of people who think he’s played too little a role or almost no role in endorsing or fundraising and he’s done jack s—t getting people to donate to the party." A "frustrated" Democratic strategist told The Hill Obama was the only major elder statesman figure to rally around for the party. While Sen. Bernie Sanders (I., Vt.) is popular among progressives, he also could run for president again and is not a Democrat. The strategist said Bill Clinton was "toxic," likely referring to a rash of bad headlines stemming from his bungled answers to questions about Monica Lewinsky and the #MeToo movement. "There’s f—ing no one else," the strategist said. "Bill Clinton is toxic, [Jimmy] Carter is too old, and there’s no one else around for miles." Obama has made recent headlines with some behind-the-scenes political maneuvering. The New York Times reported Organizing For Action—which spun off from his campaign operation Obama For America—is mobilizing to turn out Democratic voters for key midterm House races. He has also met privately with at least nine possible Democratic 2020 White House contenders, offering them advice and support. Obama left office with high approval ratings and remains the most popular figure in the Democratic Party. He has made occasional public statements in opposition to White House policies, such as President Donald Trump's decisions to withdraw from the Iran nuclear deal and Paris climate accord. This entry was posted in Politics and tagged 2020 Election, Barack Obama, Democratic Party, OFA. Bookmark the permalink.